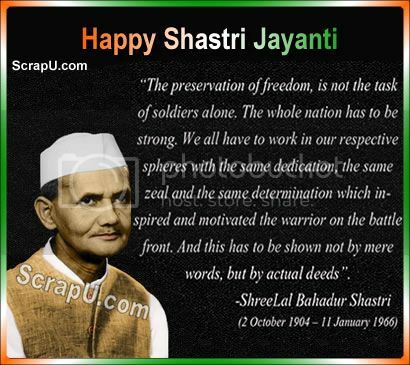 Lal Bahadur Shastri was born on 2 October 1904 and he became the second Prime Minister of independent India. It's time to remember his great contribution for the country and pay our tribute to him. 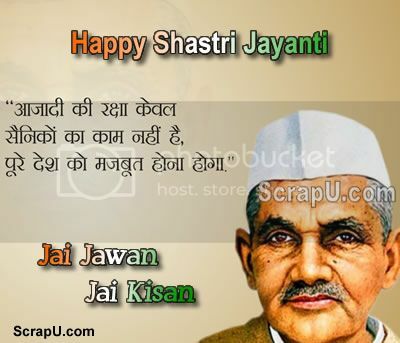 He said Jai Jawan Jai Kisan, and was known as most honest politician of country. 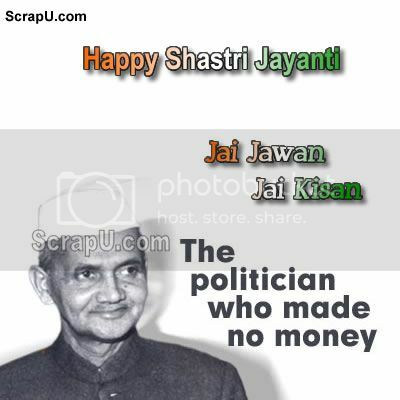 Shastri ji - The politician who made no money. 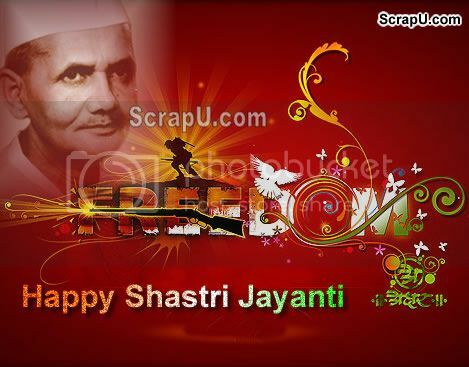 Happy Shastri Jayanti.